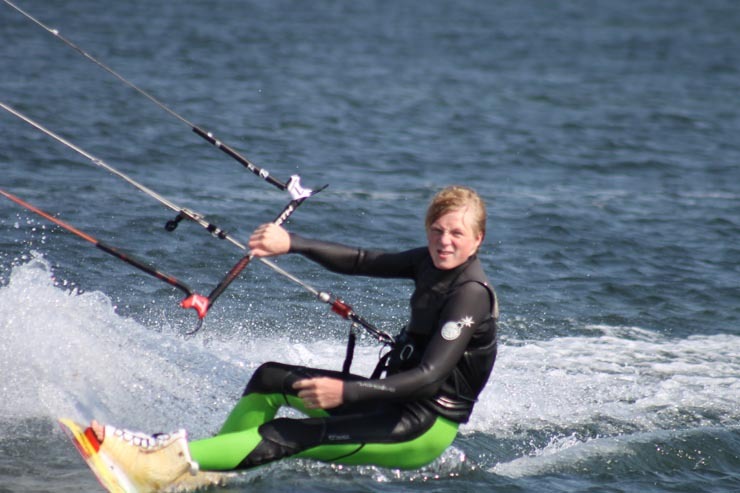 But no 14 year old kid gets very far in Kiteboarding without strong family support behind him. When not sailing himself Xander’s dad Greg can often be found performing “chase boat” duties in and around the waters of Bass Point. And Xander’s younger brother Benjamin has recently been paying his dues at Jetties and Bass Point. 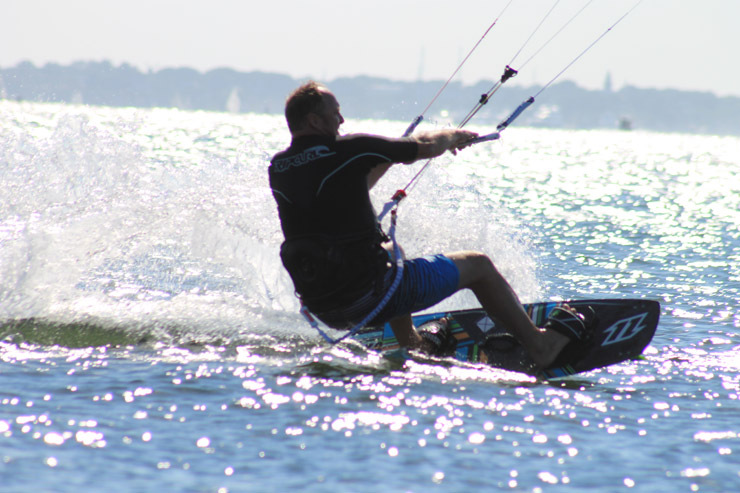 With 3 kites in the air at a time this crew is going to need a serious quiver. 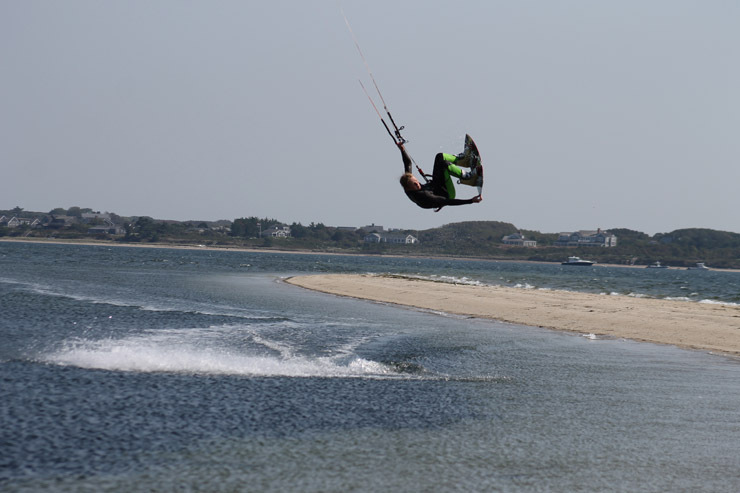 Who knows, today Nantucket pond parties, tomorrow the Triple S. We’ll be watching as Xander and the rest of the kids of Bass Point develop as kiters into the future. Photos: Pond Party – Oct 5. 2012 – Bass Pt. **Note: All quotations in the above article were 100% fabricated. This entry was posted in News and Info, Profiles. Bookmark the permalink.